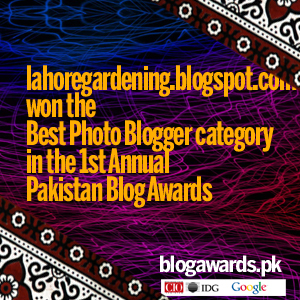 Here comes another garden bloggers bloom day. Thanks Carol at May Dream Gardens for hosting this wonderful event every month. 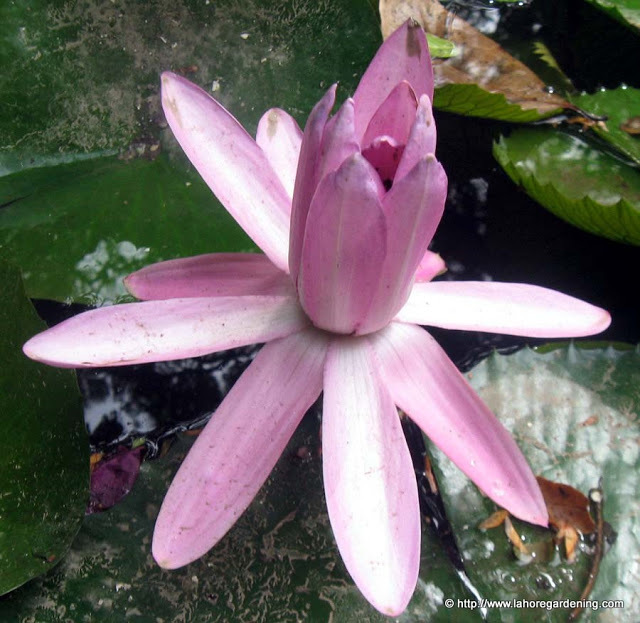 Today i will share with you flowers of Pink rain lily, lotus and ixora flowers. 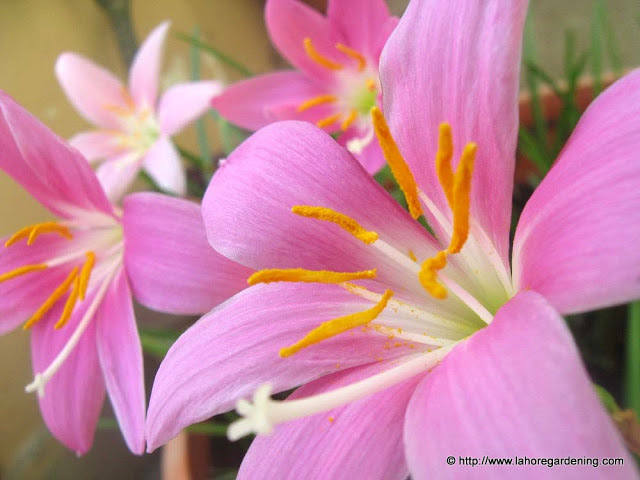 This is pink rain lily. 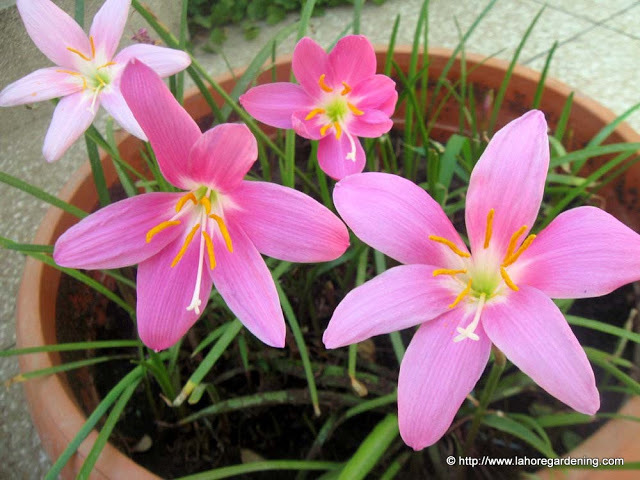 The botanical name is Zephyranthes grandiflora. I got more than 50 bulbs in this plastic pot. They bloom mostly in rains. But you would find blooms all year round. 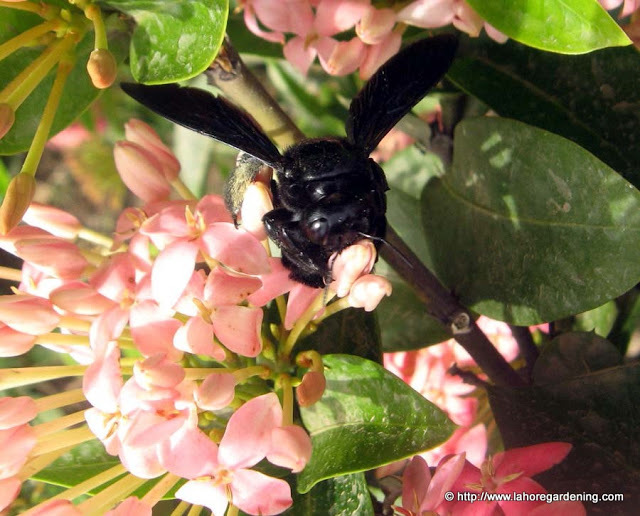 I just caught this bumble bee on ixora plant. There were humming birds on these flower too but only in the morning and in strong sun. They were so quick that i could not capture them. Still bees love these blooms. This picture is taken in lawrence gardens lahore. Don’t Forget to visit other blogs of GBBD for more beautiful blooms. Beautiful! I can almost smell the fragrance. Beautiful June blooms. It’s a great year for lilies of all kinds. What were your pink flowers in the pot? They were a lovely colour. Exotic pinks. I’d also be interested in knowing the names of the plants you show. Very pretty collection! I love your lilies! Had never heard of the pink rain lily before. It’s so cute! I love the fine foliage next to the big blooms. Lovely trio of soft pinks! You know, I got a shot of a bumblebee today on an iris and now I don’t know where it went! Great rain lilies. The rain lilies are blooming well, so pretty in pink. I have never such as sweet ixora which looks like pale orange. The lotus is a beautiful cream pink. Just great for GBBD! Your Pink Rain Lilies are just beautiful. We are able to grow White Rain Lilies here in the desert. bet the pond is gorgeous this time of year! Lovely pictures. The Rain Lilies are particularly beautiful. Have you ever eaten lotus? I see it for sale at the Asian market here and I haven’t dared. It is beautiful. Love the b. bee. Beautiful images of these lilies! Great collection of pinks! I’ve never seen such a soft shade of pink ixoras. Pretty!